Normally, toy companies extend credit to retailers, giving them up to six months (sometimes more) to pay for the toys they sell. This gives the retailer time to sell the toys and have plenty of money on hand to pay the wholesale costs of them. For some time now, toymakers have been very skittish about extending credit to Toys R Us. 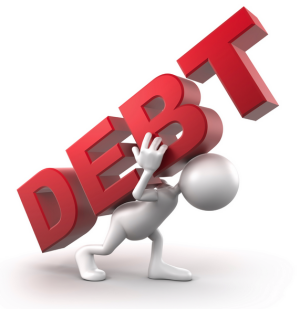 Due to that huge debt load, they have to work with less favorable terms, such as quicker repayments, higher interest rates, or deal with smaller amounts of product. If buying a company with borrowed money and then transferring that debt to the company sounds like a scam to you, note that it is perfectly legal. It generally cripples the company, but there is no law against it. You may be wondering why these Private Equity, “alternative investment” firms would jump in and take over a company like this. It has been reported that these three firms have had to write off their initial investment. It’s unclear if they continue to get paid as management consultants, but clearly the purchase of Toys R Us didn’t work out as they expected. Sometimes when private equity firms purchase a company, they manage to reverse course and make the company healthier than it was, then they cash out, sell the company and move on. However, one of the investment firms that bought Toys R Us has a pretty shaky history with the retail toy business, and they have proved that you can make tens of millions of dollars by taking a successful toy retailer and running it into the ground. 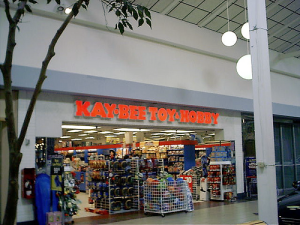 Bain Capital (which was co-founded by Bill Bain, of Bain Consulting and Mitt Romney) is the company that systematically destroyed KayBee Toys. They took a company that at one time was challenging Toys R Us for dominance in the retail toy sector, and loaded them with debt and consulting fees, eventually leading to liquidation and dashed dreams. You can relive that sordid story in this detailed Rolling Stone article by Matt Taibi from 2012. When I heard that Bain Capital was one of the companies taking over Toys R Us in 2005, I was not alone in realizing that it would probably mean the end of the storied toy retailer. When I attended the New York International Toy Fair in 2015 and 2016, everyone I talked to about the future of the business predicted that Toys R Us would not survive long. The New York Post recently pointed out the same connection that links Bain Capital to the demise of the two major toy retailers. 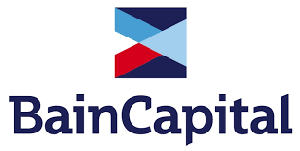 It makes you wonder if Bain Capital’s mission statement includes the goal of crushing the dreams of children. That’s what happened to Toys R Us. It’s not a case of the toy business changing overnight. It’s not that kids prefer video games over physical toys (Toys R Us sells video games, too, and they have a huge mark-up). This bankruptcy has nothing to do with market conditions. It’s all about a huge debt service payment that came due right at the beginning of the Christmas toy season. This is going to have a domino effect in the toy industry. 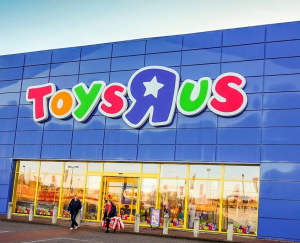 All of the major toy companies are issuing advisories to their investors, telling them to expect a net loss for the year because of fallout from the Toys R Us bankruptcy. Not only does Toys R Us get to kick the can down the road in terms of paying for previously-delivered merchandise, but the toy companies have to make a hard choice about extending more credit and shipping more product, or risk losing customers who still want to buy their toys at one of the nation’s largest toy retailers. However, if Toys R Us were not operating with a ridiculous debt load, they would be able to weather these lean months. Without such huge looming repayments due it’s unlikely that they would have had to declare bankruptcy. Which brings to mind the question: Why is it legal for Private Equity firms to employ what look to the naked eye like shenanigans to essentially make money by ruining successful businesses and putting thousands of people out of work? Why is Congress hell-bent on worsening healthcare and giving more tax breaks to the wealthy and to huge businesses, like these same Private Equity firms, instead of giving us real financial reform that would outlaw such predatory business practices. Of course, this is coming from someone who thinks that short-selling and stock derivitive trading should be illegal, so maybe that’s why I cover pop culture and not the financial industry. Of course, other people have written articles about the evils of Private Equity firms, like THIS ONE, and THIS ONE. It’s just going to be hard to get any politicians on board with any meaningful reform, because they tend to like money and the firms who do this sort of thing generously share some of their ill-gotten gains with the folks running for office. The role of Private Equity Investment Firms in the demise of Toys R Us does not pass the smell test, but we have no laws against what they’ve done. The end result will be less competition, fewer retailers that will buy toys from toymakers, higher prices, fewer products and, as usual, the rich get richer. The financial news sites are covering this story for what it really is, but the mainstream press has totally missed the point.